Our Atlanta granite countertops are composed of silicates, feldspar, and quartz. Exact and current extraction figures are not available, due to the difficulty in collecting such data from many countries. Statistics from various sources indicate that the granite quarried in throughout China, India, and Brazil comprises approximately 2/3 of the granite used today. Granite quarries exist in numerous countries, and it is one of the most popular natural stones on the market. 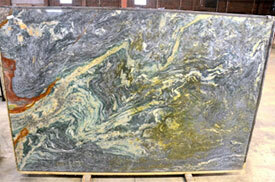 New granite resources are constantly being developed throughout the world. When compared to other natural stones, granite is by far the most diverse. Materials vary from consistent, homogeneous patterns to random movement designs, and nature provides us with a full spectrum of color options. The final appearance of the polished surface is determined by the specific composition and distribution of feldspars, quartz and other minerals. These factors make each of our Atlanta granite countertops different from one another. Combined with the different types of finishes, such as polished, honed, and leathered, the possibilities are endless! 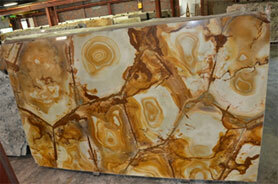 Quartzite is a type of metamorphic rock that is formed from sandstone. This rock can be of exceptional strength, hardness and density . Much of the time, intrusion of minerals during the formation process creates unusual coloration. Quartzites are rarer than most granites which typically equates to a higher price. However, their incredible colors and patterns make this material so unique. If you need Atlanta granite for your kitchen, bathroom or any other project, contact your friends at Bottega Stone today! Located at 129 Armour Drive in Atlanta, we are in a convenient location to serve the Metro area. If you have any questions about our products, granite in general or our company, feel free to give us a call! 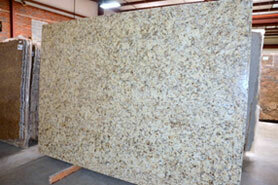 Bottega by Stones International - If you need granite countertops in Atlanta, contact us today! Whether you are remodeling your kitchen, bathroom or any other part of your home, we have you covered!